Inspection – We’ll thoroughly assess your property, looking behind walls and under carpet as needed to identify whether you have a mold problem that poses a health threat to the people inside. Remediation – To restore the indoor air quality of your home or business, we’ll utilize black mold removal equipment such as air scrubbers with HEPA filters and EPA-registered disinfectants to remove mold spores as well as a wide range of other pathogens. Reconstruction – Rather than having to hire a separate contractor to rebuild damaged surfaces in your building in Sandy Springs, GA, you can rely on our skilled team to perform any general construction work required to return your property to its pre-mold condition. 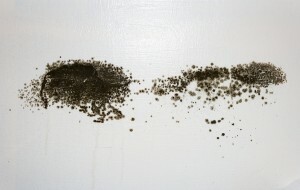 Prevention – With our mold prevention services, which we back with a 10-year warranty, you can rest easy knowing that you’ll never have to deal with black mold on your property again. If you want a black mold removal specialist that you can trust with this important task, contact Abatement Solutions today. We proudly serve residential and commercial property owners, realtors, and management companies throughout Sandy Springs, GA.